To celebrate the return of Matthew Bourne’s Swan Lake to Birmingham Hippodrome this week, Ava Event Styling has produced a stunning inside/out installation at The Ivy Temple Row, inspired by the iconic dance production. 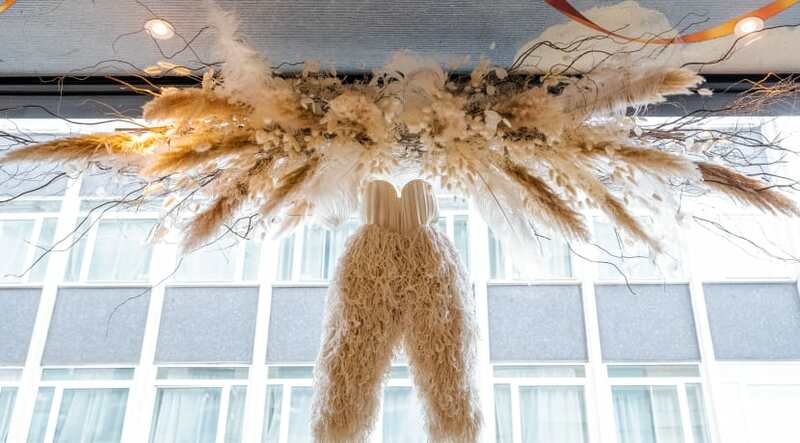 Guests can currently enjoy a stunning display of flowers and feathers on entry to the restaurant, whilst the focal point can be found inside where a pair of iconic ‘swan legs’ have been suspended in the main window space looking out on to Temple Street. 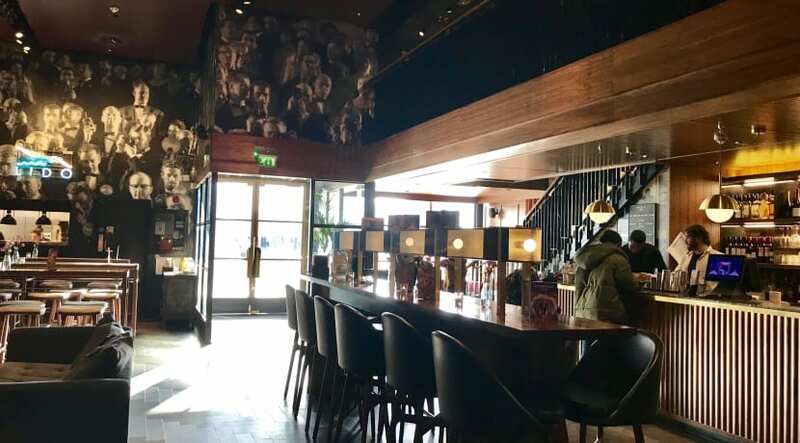 In keeping with the theme, the Birmingham eatery has also added two limited edition specials to their menu, which will be made available throughout the installation – a Black Swan cocktail and White Swan dessert. 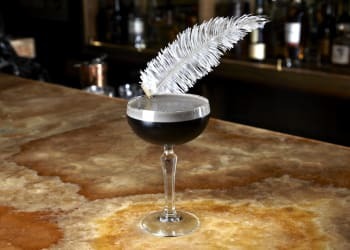 The dark cocktail is served in a coupe glass and is made up of Beefeater gin, St Germain, Chambord, Elderflower, squid ink and egg white. Not only does it look phenomenal with its signature feather attached, it tastes equally delicious. Delectably sweet, the Chambord is the overwhelming flavour of the drink but the egg white softens the acidity making it slide down remarkably easy! It is priced at £8.50 so fairly standard pricing for cocktails at such an establishment. 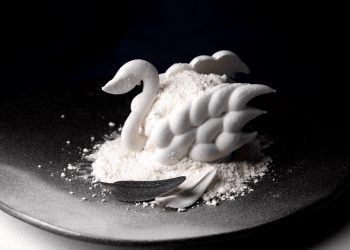 The alluring White Swan dessert is delicate in appearance but certainly not on the palette. The powerful sweet passion fruit parfait gives an explosion of flavour, cleverly accompanied by rich white chocolate yet light meringue. This is an incredibly well-balanced and beautiful looking dessert. 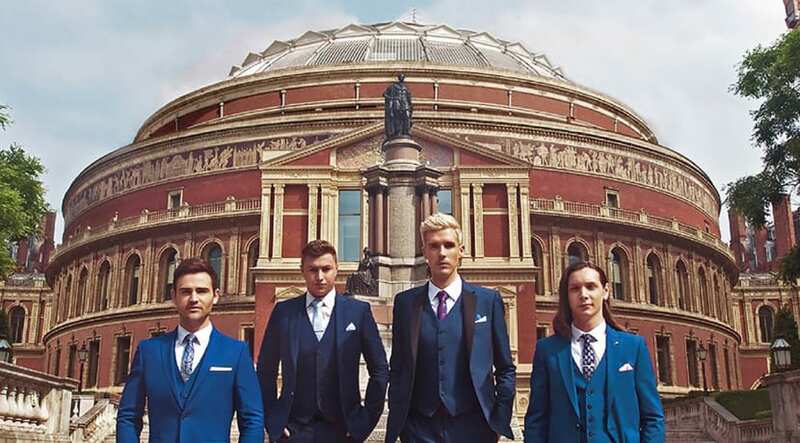 Not the cheapest at £10.95 but worth every penny. Perhaps not an obvious partnership at first glance but relevant based on the brand’s theatrical heritage, the restaurant is the perfect place to promote both Matthew Bourne’s Swan Lake and their beautiful 135-cover brasserie in the process. 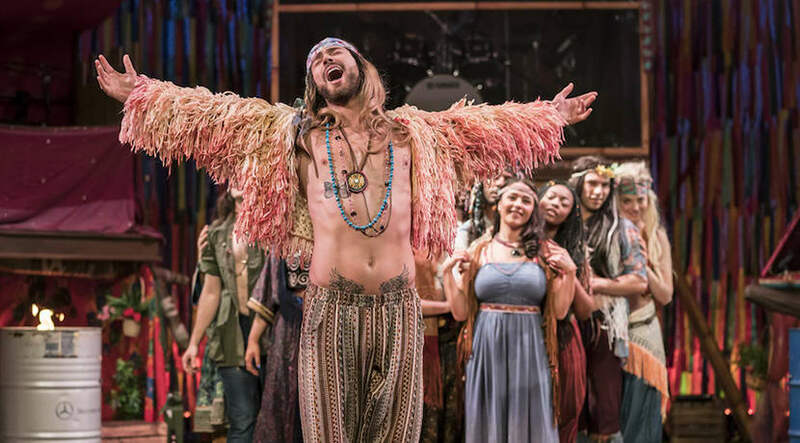 The Ivy Temple Row are also supporting the Hippodrome’s Curtain Raiser Project by donating to the arts initiative which allows students to develop their dance skills and even perform on stage for the audience at Swan Lake’s opening night. The installation can be enjoyed at The Ivy Temple Row until 24 February, whilst Matthew Bourne’s Swan Lake performs at Birmingham Hippodrome until 16 February.